On Tuesday, January 17, 2017 at about 8:30 a.m., emergency responders were called to the intersection of Yale Avenue and Maple Boulevard for a reported injury accident. Responding officers found that two vehicles had collided head on. Investigating officers learned that a silver 2012 Dodge Ram, driven by a 18 year old female, was headed east on Maple Boulevard. The driver drove left of center to avoid debris in her lane and struck a tan 2009 Dodge Journey driven by a 55 year old female. Seward County EMS transported the driver of the Journey to Southwest Medical Center with non-life threatening injuries. The driver of the Ram and her 23 year old male passenger were not injured. Officers discovered an open container of alcohol and a quantity of marijuana in the Ram. 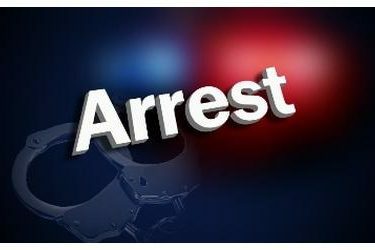 The driver and passenger were arrested for possession of marijuana, possession of paraphernalia and transporting an open container of alcohol. An affidavit was submitted to the Seward County Attorney seeking formal charges.